Honey bees and wild bees are important pollinators of crops and wildflowers. Honey bees have experienced declines over the past two decades caused by a range of factors, including varroa mites, pathogens, loss of habitat and pesticide exposure. This fact sheet is designed to provide information to help avoid bee kills and sublethal effects of pesticides. Bees are very sensitive to pesticides and are particularly vulnerable when foraging because they can contact pesticides on flowers located in or near areas of pesticide application. It is a label violation to apply pesticides toxic to bees when bees are foraging on the crop. Honey bees will forage only during the day and forage more on sunny days than cloudy days. Applying pesticides in the evening will reduce impact on honey bees, provided the pesticide used has a lower residual activity the next day (this is typically the case). When bees are used to pollinate a crop, there should be a plan agreed upon between the grower and the beekeeper to minimize pesticide damage. Cucurbit pollination: Crops like melons, cucumbers, squash and pumpkins have flowers that are only open for one day, but new flowers are produced daily so bees are needed for extended periods. Applying insecticides after the flowers close for the day will reduce the impact on bees. However, many systemic insecticides can have a long-term impact on bee health, especially when present in pollen stored in the comb. It is important to use application practices that minimize pesticide drift. Genetically-modified, or GM, crops have not been linked to bee mortality or sublethal harmful effects across a multitude of peer-reviewed scientific studies, dating back to their introduction in the 1990’s. 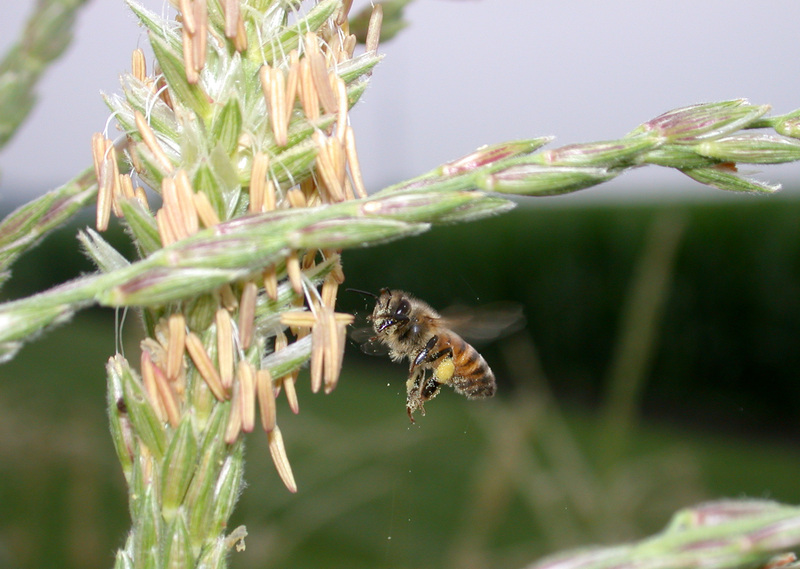 The proteins and compounds produced by Bt crops and herbicide-tolerant crops (such as the vast majority of corn and soybeans grown in North America) are relatively pest-specific, and are non-toxic to bees. Be aware of the toxicity of the pesticide you are applying and the residual activity. Dusts are more hazardous than liquids to bees and should be avoided if possible. More information on pesticide toxicity and effects on bees can be found in Protecting Bees from Pesticides <http://extension.entm.purdue.edu/publications/E-53.pdf>.